Some buyers believe that searching on line and calling every agent with an interesting listing is the path to finding the perfect home. When the agent asks what they’re looking for and offers to help find other homes that might fit their needs, they turn down the offer – and keep calling more ads. They’re afraid of being tied to one agent who might not serve them well. Those buyers might eventually be successful, but they’re making the process much more lengthy and painful than necessary. The fact is, online ads are a good place to start learning about the market, but they’re not the best place to actually find a home. For one thing, many of the homes you’ll see on line are already sold, so you’ll be wasting a lot of time. A working agent will only direct you to homes that are actually available. Secondly, online descriptions aren’t always accurate or complete. Some make a shack sound like a palace while others fail to mention the very features you want in your next home. An agent with access to the Multiple Listing Service can get more details, and can call the listing agent to ask questions. Third, working with the listing agent isn’t always in your best interest. He or she is legally bound to get the best price and terms for the seller – not for you. A buyers’ agent works for you – to negotiate the best price and terms for you. When you choose someone to represent you as a buyers’ agent, that agent will actively search for a home that fits your “Needs and wants” list. You’ll be notified each time an appropriate new listing comes on the market and will thus have the opportunity to “get there first.” An agent who doesn’t represent you might call if they see something, but won’t actively look, because they know you might already be under contract. How do you choose an agent who will actually work for you? Get acquainted before you sign a buyer agency agreement. Meet with them and see what they have to offer – see how much time they’re willing to spend with you and how many questions they ask about your wants and needs. See if they offer to show you listings that aren’t their own. If they tell you to find houses that interest you, then call – choose someone else. 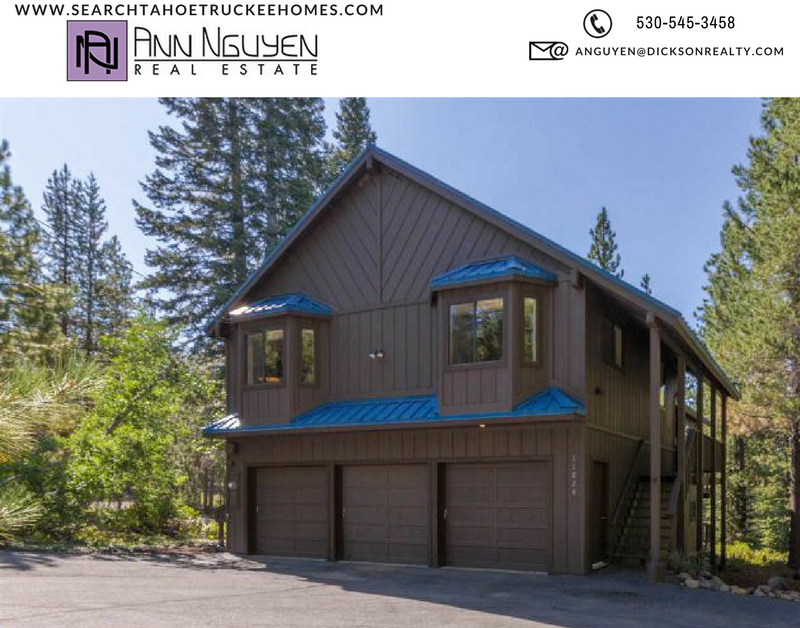 Call/text Ann at 530-545-3458 and we can set up a meeting to discuss all your wants and needs…then we can take a tour of different neighborhoods from luxury Martis Camp, Northstar to popular Winter Creek subdivisions.